Towards the beginning, when ERP software first came into the market, it was primarily designed for inventory management. Today, ERP systems are used to automate back-office tasks and streamline cross-departmental workflows. When optimized, ERP systems can drive efficiency, lower costs and increase profitability. In today’s digital era, ERP systems are critical for managing thousands of businesses of all sizes and in all industries. The financial management component within your ERP system stores, monitors and analyzes all of your financial data, including accounts payable, accounts receivable, costs, budgets and forecasts. It helps reveal insights into your spending, so you can discover profit trends and times of unusually high spending. You can then put that data to good use by changing whatever processes are causing lower profits or high spend, so you can maximize your profits while reducing costs. Financial management can also help improve cash flow, lower costs, and increase profitability while maintaining accurate reporting. ERP software with a strong financial feature should ensure companies meet financial reporting and tax requirements with a single accounting, banking and payment system. 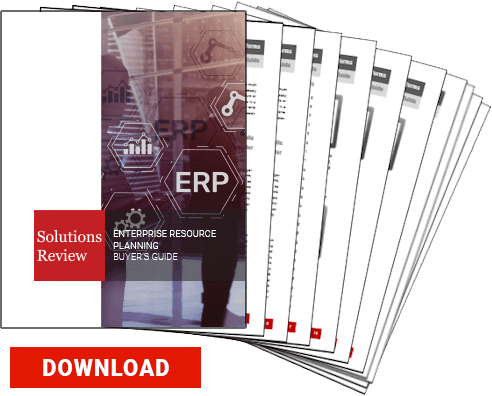 Your ERP system should help bring together data that better enables salespeople and marketing planners alike to better address customer needs, preferences and buying patterns. A CRM component allows you to do this by keeping track of all of your customer and sales data within your ERP solution. 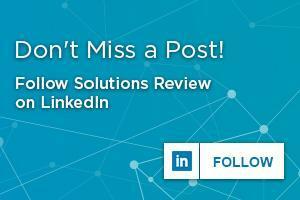 The insights you can gain from a CRM component helps optimize your marketing and sales efforts. It also helps to better manage invoicing activities, provide relevant and real-time information for the best prepared proposals and monitor the overall status of contracts to help you gain a better understanding and be kept informed at all times. A big benefit from CRM is tracking the buyer histories of your customers. With this data in hand, you can suggest additional purchases through cross-selling or upselling, or try to sell them a relevant product/service when they’re otherwise not as likely to buy. The sales and marketing component handles sales workflows like sales inquiries, quotations, sales orders and sales invoices. The more advanced ERP also features taxation rules and shipping tracker. The Sales and CRM modules work together to speed up the sales cycle and earn the company more profits. Trying to manually calculate your sales margins and profit ratios as your business continues to grow can be nearly impossible. With the help of an adequate ERP system, you will be able to automate this tracking and get the information you need with ease. Being able to access synchronized reports that detail key business metrics can be extremely helpful. These metrics can alert you to changes that need to be within your business to foster more growth. Employees are the number one priority in any organization, because without them, your business wouldn’t exist. The HR component within your ERP system should be able to handle the full scope of employee management, from onboarding to offboarding, and from compensation management to timekeeping. The biggest feature you need from a HR component is payroll software. Submitting payroll and issuing direct deposits by hand is incredibly time-consuming. An HR component automates payments, including tax and benefits deductions, which saves you time to focus on more important tasks. As ERP solutions mainly cater to manufacturing and distribution companies, your ERP system should absolutely be able to monitor demand, supply, manufacturing status, logistics and distribution in record time. The SCM component of an ERP system is one of the most crucial for this reason. You need the best SCM features to be able to optimize your supply chain, and that starts by collecting real-time data. Real-time data allows you to keep tabs on your supply chain, so you can find and fix issues as they happen, rather than waiting until you receive the data a day or more after the fact. Failing to find information, such as the location of a product’s key components, and promptly share this information with supply partners, can have a significant impact on a company’s supply chain. The SCM component, with the aid of real-time data, can help with demand planning, so you can create an up-to-the-minute accurate production plan that meets demand, but doesn’t exceed it. This module helps businesses make manufacturing more efficient in areas such as product planning, materials sourcing, daily production monitoring, and product forecasting. Some of the key functionalities in this module are bill of material, production scheduling, shop floor control, and distribution planning. The module is tightly integrated with SCM and inventory modules especially in areas like product planning and inventory control. stock targets, standardize replenishments, and other inventory goals. It uses product serial numbers to track and locate items in your organization. Inventory control helps you measure stock targets, standardize replenishments, and other inventory goals. It uses product serial numbers to track and locate items in your organization. Businesses can organize and categorize their inventory, better manage detailed warehouse data, and record various product movements. This provides supply chain managers with a greater understanding of what inventory is on hand, what has been shipped out, what hasn’t and where the inventory is at all times.